Whether you love or loathe Steve Jobs and Apple, there can be no denying that his WWDC keynote on Monday signalled a generational shift in smartphone technology. 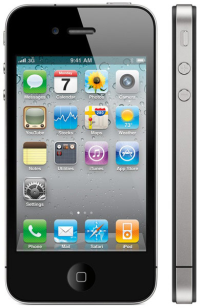 The iPhone 4 unveiling marked the end of two years of lacklustre updates that allowed competitors, such as Google's Android, to close the gap, then finally surpass the once mighty iPhone. Like all things Apple, the keynote was slick to the point of perfection, unashamedly self-congratulatory and, I suspect, very uncomfortable to watch for anyone who has recently poured a large amount of money, or entered into a lengthy contract, in return for an Android "superphone". Of course, I count myself among that group - having recently bought a Google Nexus 1 - and while I did suffer from a mild fanboy twinge of jealousy, my overriding feeling at the end of it was a peculiar sense of admiration. I don't like many of Apple's business practices, but when it comes to iterating technology (in many cases, old technology) and presenting it in a way that is utterly desirable to geeks like me, you'd be hard pushed to claim they were anything other than masters of their field. Take the much vaunted "... and one more thing": Facetime. This technology has been readily accessible on phones since 2005, back at the dawn of 3G networks. I remember it was just as vaunted back when 3 launched their first phones. It was futuristic, compelling, useful, and utterly, utterly ignored. I think I've owned three phones since 2005 with front facing cameras and not once have I made a video call. The fact that phones have generally omitted the front facing camera in recent years is testament to how entirely overlooked the technology has become. For some reason, people just didn't want to make video calls. I don't know why. Then along comes Facetime. It isn't revolutionary. It isn't new. It isn't even something that people want. But somehow, with a veneer of Apple polish, it becomes desirable. Now, I'm a hard hearted old cynic, but even I found myself oddly compelled by the launch video for Facetime, apparently directed by Sam Mendes. The way they present it, the way they SELL it, it suddenly seems like something that might actually be worth having - road warrior dads can see their babies crawl for the first time; battle hardened Afghan squadies can watch as Mary-Sue back home gets her first ultrasound; teen sweethearts can finally give up "sexting" and flash their bits to each other in glorious VGA technicolor. It's manipulative, it's cynical, it is, I suppose, nauseating; but it is also compelling in a way that no other company has managed to achieve - it sells the feature as a human advance, rather than a technological advance. Suddenly it's a future that I want to be a part of. Against my better judgement, I find myself suspecting that video calling may finally come of age... Of course, this comes with a proviso - in it's current incarnation, Facetime is virtually useless, since it is limited to iPhone 4s over wifi. If anything is going to kill an idea from the offset, limits like this will be it. A glimmer of hope comes from Apple claiming the technology will be "open", but whether this means "open" in the sense that I'll be able to video-call an iPhone user from an HTC Evo remains to be seen. I hope it does. The second not-really-an-innovation to impress was the Retina display. On the face of it, this is nothing more than a natural progression in resolution. We saw it with the jump from G1-generation phones to Droid-generation phones, and indeed that leap was bigger than the leap from Droid-generation to iPhone 4-generation. But once again, Apple appears to have hit on a - dare I say - magical sweet spot. The genius of it is that their 960x640 display is squeezed into a 3.5 screen such that resulting number of dots per inch is so high that your eye is unable to see individual pixels. In essence, you may as well be looking at a printed magazine page than an electronic display. On top of this, they appear to have closed the gap between the glass screen and the display beneath so that the image itself appears to be rendered on the front of the phone, rather than floating a millimetre beneath. Hyperbole aside, hands-on reports from WWDC report that the screen is just as gorgeous as Apple boast. While the Nexus 1 screen remains lovely to look at, I have a feeling that it will be something of a red-haired stepchild when held against an iPhone 4 - remind me not to do this. It might, I suspect, also make the once-revolutionary iPad display look somewhat wanting - how quickly obsolescence sets in eh? Finally, battery life. Okay, this is the elephant in the room with modern smart phones, especially Android phones. There is no doubt in my mind that smart phone technology is a game changer - whether it's Apple, or Android, or Palm, or whoever, the possession of always-on, ubiquitous data is life changing. It's hard to describe to someone who hasn't experienced it yet, but being able to tap into the internet 95% of the time you're out and about is a quiet revolution that makes you wonder what on earth we did for 200,000 years without it. But there's a downside - while functionally our phones are almost complete, our battery technology simply cannot cope. Whatever your flavour of real smartphone, if you use it how your instincts would like you to use it - ie heavily - you will be out of battery within half a day, if that. And worse, phone manufacturers appear to be ploughing more functionality into handsets at the further expense of battery life - the Android powered Evo is apparently the worst for this. Luckily, Apple appears to have cottoned onto this - if you believe their spiel - promising a 40% increase in battery life across most tasks, a good step in the right direction. It's tempting to dismiss this as manufacturer spin, but I chose to buy into it for one reason - the iPad battery life official estimates were, if anything, underestimates, with real-world use achieving longer use-times than those quoted in the marketing material. Since the iPhone 4 uses the same processor, I hope that this new handset has similar luck. All in all, it's all very rosey over at Apple. With this iPhone upgrade, I have no doubt that this is head and shoulders the most powerful smartphone out there. Combine it with OS improvements like folders (welcome to 1985), multitasking (welcome to 1995) and threaded mail (welcome to 2004), and there is simply no Android handset to touch it. So I'll be flogging my Nexus 1 and signing up to a Starbucks Lifetime Pass right? Well, no. The iPhone may be a major and welcome step forward, but it is not a revolution. There is nothing in it that Android won't be doing in six months time and there are things that Android is currently unquestionably doing better (browsing, tethering, widgets) even compared to the iPhone 4. On top of this, what you get with the iPhone 4 is what you'll have for at least the next year - probably the next two years, since the next iteration will be incremental. In this time, HTC will have churned out about 500,000 handsets of varying capability. I have no doubt, however, that the iPhone 4 will sell like titcakes. It will do wonders for recovering some of the ground that Apple has lost in the smartphone market. But most importantly, it will drive innovation. And innovation is a wonderful thing. I thought I wanted an iPhone, but instead what I really wanted was Apple's promise of a wonderful tech enabled life where everyone is beautiful. Sadly that means a lobotomy and giving in to the iron grip of Jobs's view of how I should be. This stuff's so beguiling it's untrue. Did you know LG are releasing 20 new Android phones in the next 12 months? TWENTY. I just hope that carriers in the UK with branded handsets don't withhold updates in order to induce new sales/contracts. I'm looking at you, O2. Still at least de-branding seems straight forward if it will be necessary. Motorola are also claiming they'll have 20 Android handsets by the end of the year, with a number of high end model with front facing camera, and at least one 2GHz snap dragon model. Jeez.